Baijayant ‘Jay’ Panda or Jay Panda, as he is better known, is a Member of Parliament of India, Lower House (Lok Sabha), representing the Kendrapara constituency, Odisha since 2009. He was re-elected from Kendrapara with a margin of over 2 lakh 9 thousand votes in May 2014. 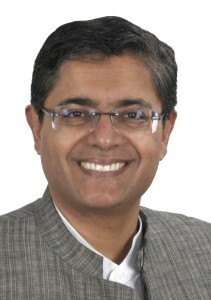 Earlier Jay Panda had been twice elected to Parliament, Upper House (Rajya Sabha) in 2000 and 2006, also from the State of Odisha. He is a member of the Biju Janata Dal (BJD) party.